107 Lucerne Blvd, Homewood, AL.| MLS# 846302 | Richard Jacks UABLIVING.com 205-910-2297 | Birmingham AL Real Estate | Contact us to request more information about our Homes for Sale in the Birmingham AL area. It's hard to find this much space in Homewood. This well-loved home sits on a large corner lot and offers 5 bedrooms plus an office and tons of living space. The downstairs has high ceilings and is the perfect teen space and/ or in-law suite. 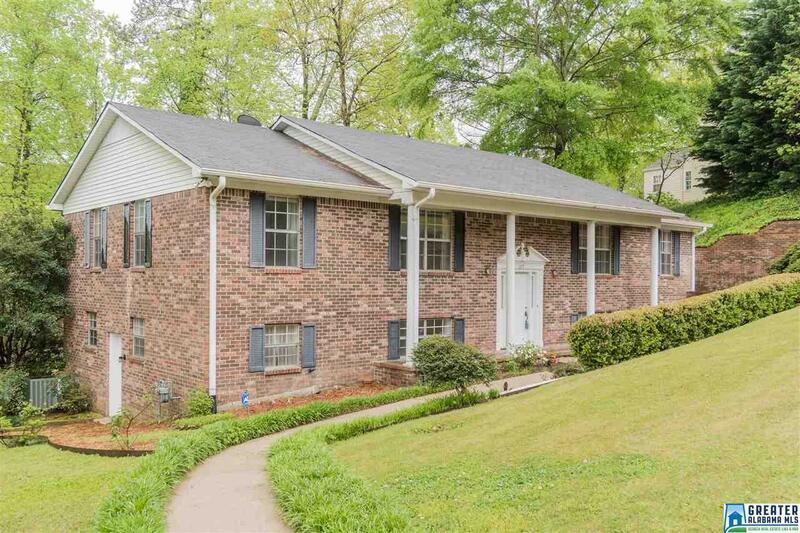 With sidewalks throughout this neighborhood and the proximity to Edgewood, the high school, Samford, the shades creek greenway and the ease of getting to Lakeshore, 280 and I65 you will find the Lakeshore Estate area to be on of the most convenient and pretty areas of Homewood. The home has been well-maintained over the years, visit 107 Lucerne Blvd today. Driving Directions: Lakeshore Dr To Riviera; Turn Left On Lucerne Blvd; First House On Left.